No comments: Link it! . 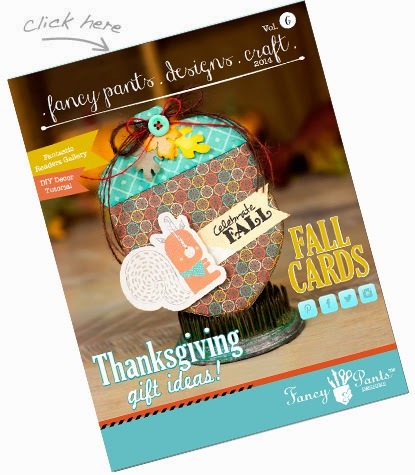 Fancy Pants Designs puts out a fantastic monthly newsletter. The newest edition has arrived just in time for some fun fall ideas that will take you all the way from Halloween through Thanksgiving!! 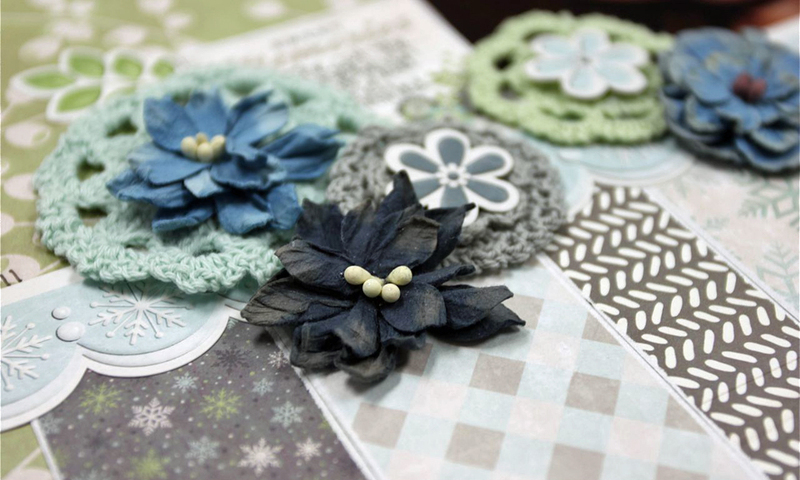 Packed full of crafty goodness, fun techniques and tutorials, you won't want to skip a page!! 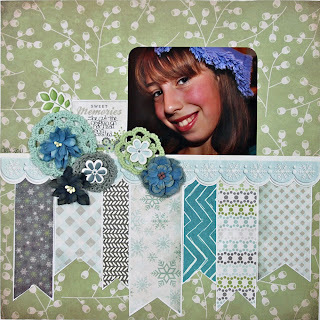 SCRAPS FOR THOUGHT: Can you define your "scrapbooking style" in 3 sentences or less? Have you ever given any thought to what your scrapbooking style is? Can you say definitively that you fall into one commercial "style" or another? By that I mean, do you define your style by the look of a particular manufacturer? Have you admired a fellow scrapbooker's albums, or at a favorite designer's published layouts, and wished that you could achieve the same "look?" Do you admire a paper collection enough to buy it, and then when you get home, wonder how the heck you'll ever use it? Have you ever dabbled in a specific trend or style and wondered why everyone else's projects look artistic and whimsical, and yours looks like your embellishment bin threw up on the page? If you have ever said "my pages are boring. I don't have a style," I can assure you, you're wrong! Just like clothing and home decor, we all have a style. 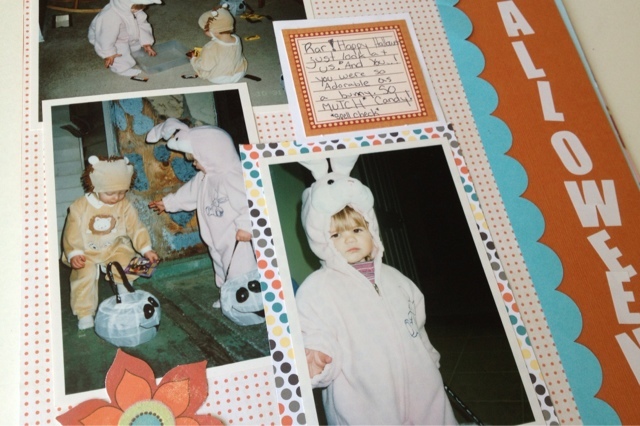 We may not all be fashionistas or hosts of an HGTV series, but trust me, we all have style! How would you define your own unique style? It doesn't need to have a name. Just a brief 2 or 3 sentences to paint a picture. Why does this matter? Owning your own style -- and its ok to admire other styles, or even take classes or dabble in other styles -- will help you streamline your processes, give you more creative confidence, save you money in the stores, and be more productive overall. Still stumped? Coming up next, I will post a quick exercise for you, that will help you define your style. Stay tuned! 1 comment: Link it! . 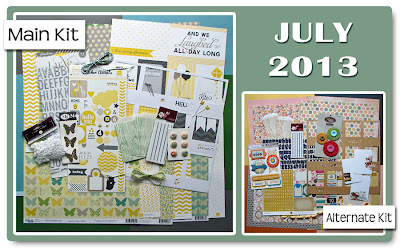 July Kit available to order! Club Members have received the Sneak Peek and placed their orders. Now its your turn! Remaining Main Kits and Alternate Kits are available in our online store while supplies last. WIN your way to Crop&Create Burnaby!! You have until Sunday night to enter to win a weekend package worth over $200!! Plus, everyone who enters and attends the event will be entered in the draw to win a kit from The Memory Workshop. Visit our Facebook page for all the details. head on over to our Facebook Page and enter to win a kit! We're giving a May 2012 kit to one lucky Facebook follower. Maybe it will be YOU! Entries will be accepted until 7pm PST March 28. We'll announce the winner after that! 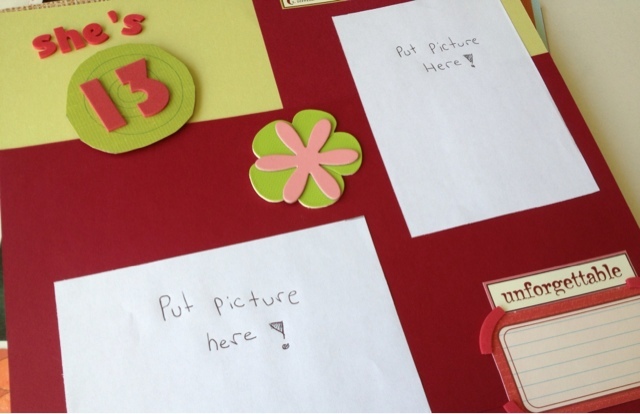 Do you have a junior scrapbooker? 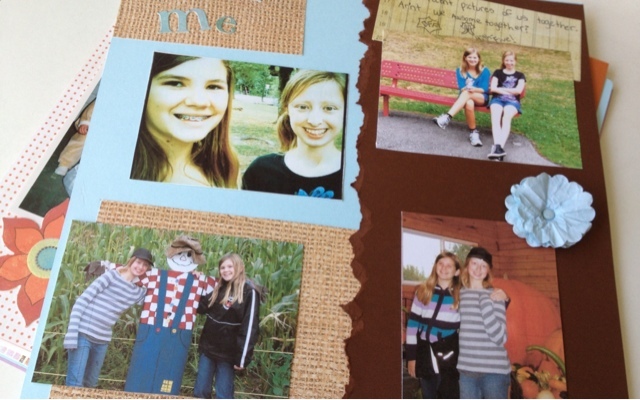 My 13 year old picks up a tape runner once in a while but has never been a diehard scrapbooker. I don't know why she doesn't do it more often...she's pretty good! 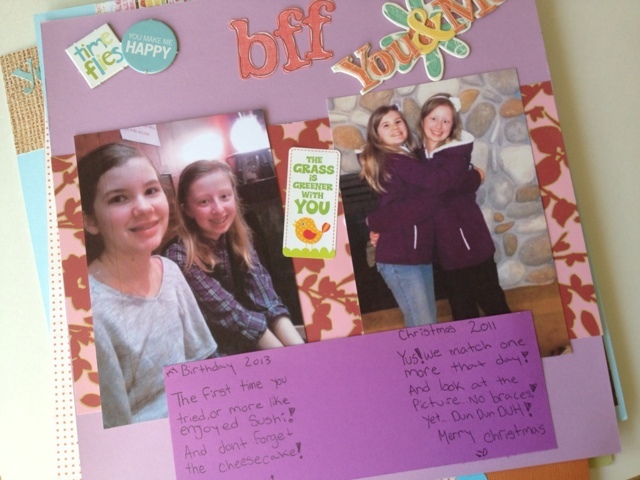 These are some pages she made for her BFF's birthday. My 9 year old is about to start his first album. That should be interesting!! Check out our latest newsletter about upcoming events in the Vancouver / Lower Mainland / Fraser Valley. The Memory Workshop store will be on location with everything you need to complete your projects. 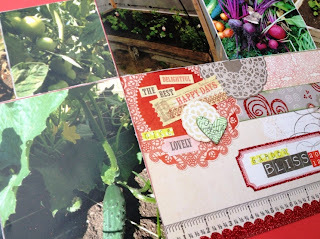 Because scrapbookers like to shop where they crop! Thank you to Eleah for inviting The Memory Workshop to vend at the Maple Ridge Elementary fundraiser crop on February 2. Next crop on the calendar is Ranch Park Elementary in Coquitlam. You can download the registration form here. Looking for a retreat experience like no other? 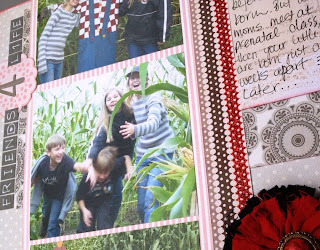 Check out the Ultimate Scrapbook Retreats. As long as space is available, Heather will take registrations right up to the last minute. The most popular dates book up early (sometimes a year in advance) so get your names on the waiting list in case of a cancellation. When is a Valentine's inspired kit NOT a Valentine's kit? As you know, here in the Workshop, we like to make kits for you that are versatile, non-themed, and gender-neutral most of the time. In general, some Spring kits are more spring-y and some winter kits are winter-y...you get the picture. But as a general rule a monthly kit can be used for countless layout ideas, and personalizing a kit project is as simple as changing the title. And if the Main Kit for a particular month leans toward a specific gender, or references a certain season or holiday, the Bonus Kit will be of a different theme or gender. A little industry tidbit that you may or may not know...most of the manufacturers release seasonal themes at the same time. July is heavy on Halloween and Christmas. January is very summery. 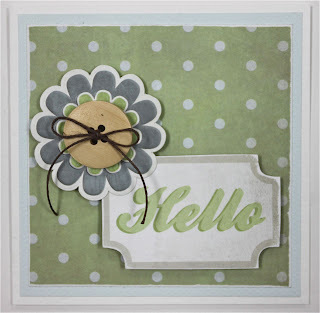 And last fall we were inundated with Valentine's, Spring, and Easter inspired collections. And not much else. 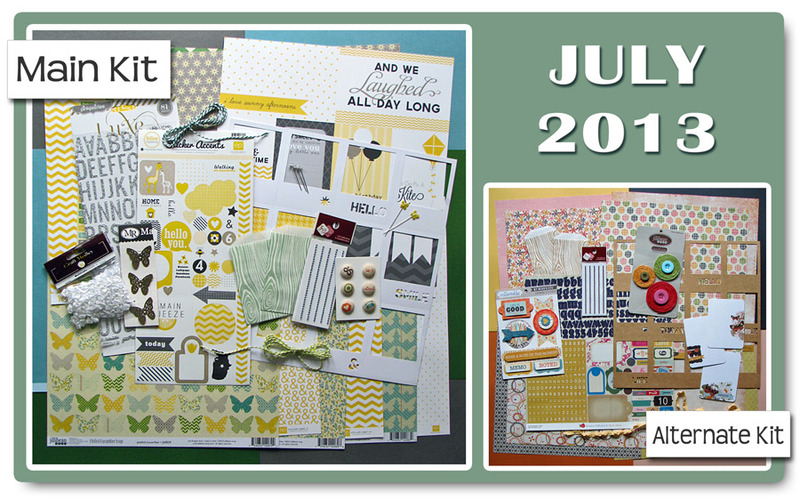 It makes it challenging to plan monthly kits with wide appeal (several months in advance), when the choices are so specific! Which brings us to February 2013. At first glance, the Main Kit paper colour scheme makes you think "Valentine's!!!!" But on closer inspection, you'll see there's barely a heart or cupid in sight. Club Members should have received their Sneak Peek emails last night, with a full reveal of the kit and all the stunning addons available. 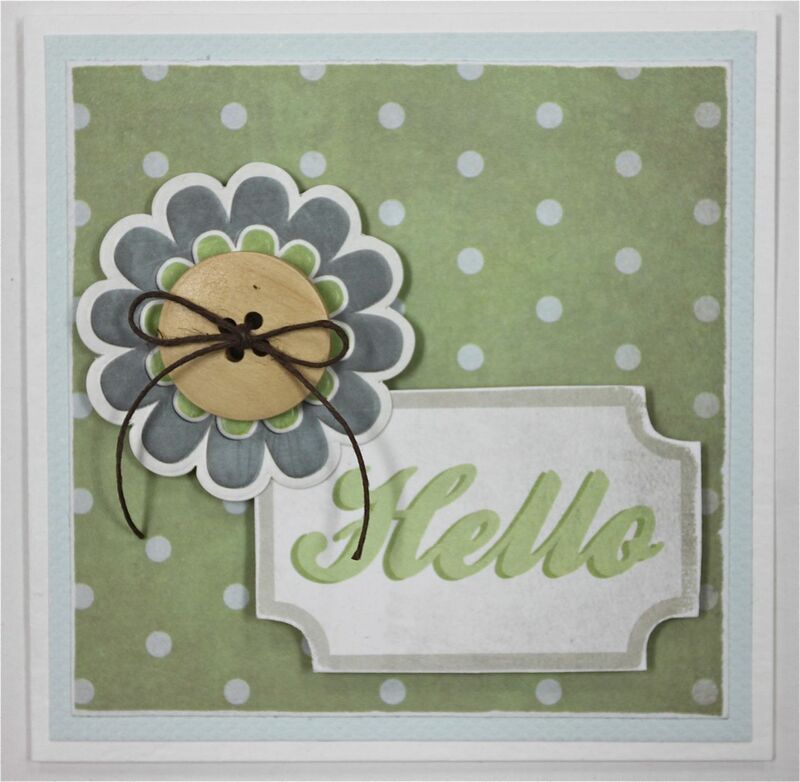 We challenge you to "scrap outside the box" and use your kits in ways that aren't obvious! 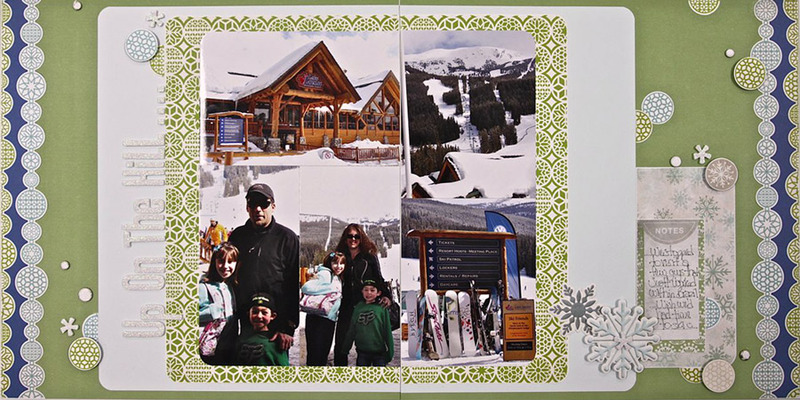 We want you to see the possibilities in paper, not the limitations. Send us photos of your layouts using kits in a non-traditional way. 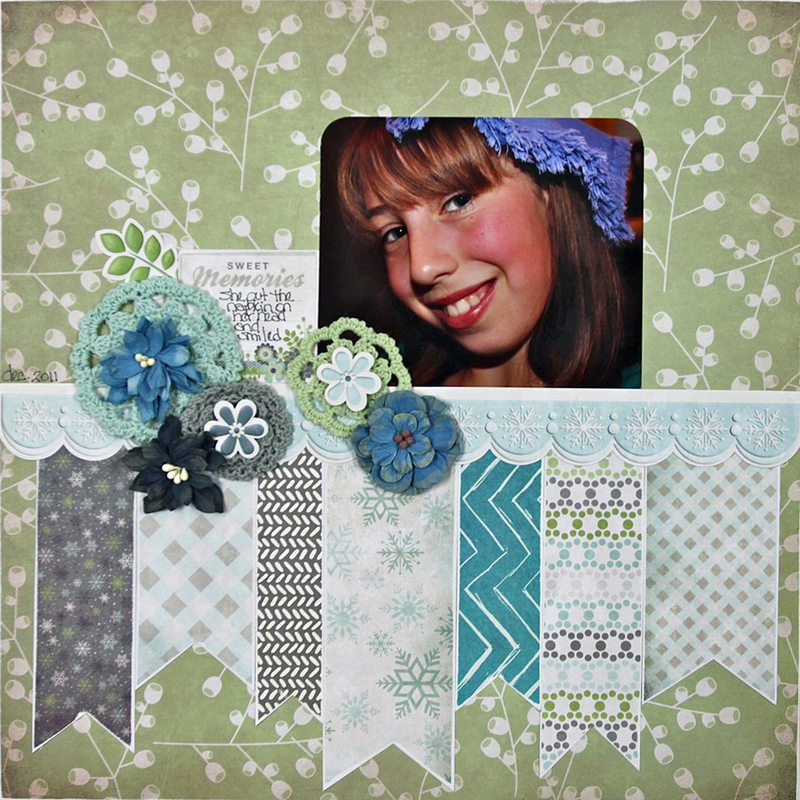 A big thanks to Jennifer Edwardson for her fantastic work as Guest Designer for January! 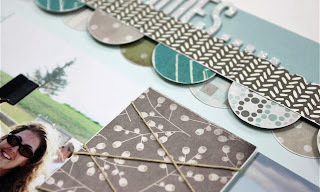 She squeezed in the Memory Workshop projects in between her design team work for Bella Blvd, American Crafts and Coredinations, just before jetting off to CHA in Anaheim. Creative, professional and tireless...that's Jenn! 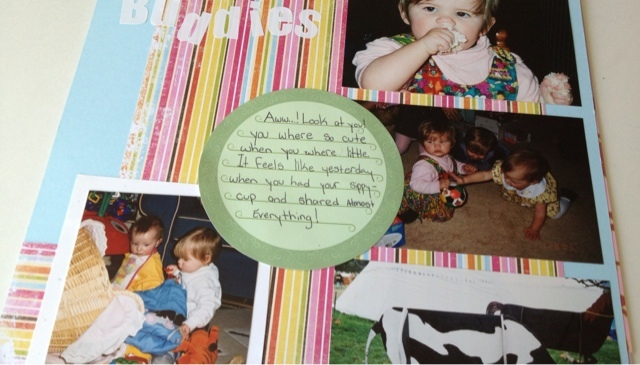 If you're from Vancouver Island or the Lower Mainland, you might have met Jennifer at BC Scrapbooking Crop for Kids or at one of her famous "Use Your Own Products" 20-layout workshops. 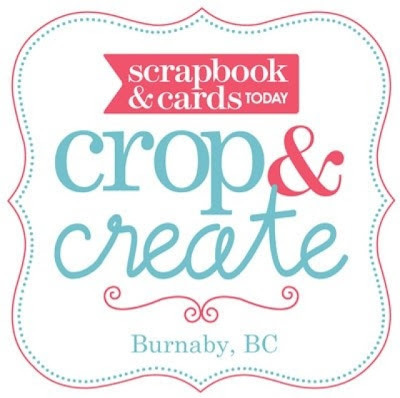 Jennifer's store in Parksville, Scrapbookin' Adventures, has been a major sponsor of BC Crop for Kids over the past few years. Here are some of her designs. 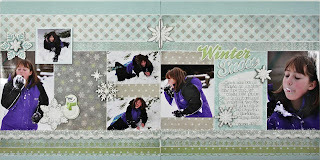 You can see more on her blog, and the complete set of projects on our Facebook Page. I know for some people "its just scrapbooking," and there stretches of "just a job" time when my days are filled with bookkeeping and paperwork. But then I get one of Bertha's lovely emails and I'm reminded that for some, scrapbooking is so much more than paper and stickers. If I can delight, educate, comfort, inspire, or amaze just one person at a time, then The Memory Workshop will continue to be my Best Job Ever. 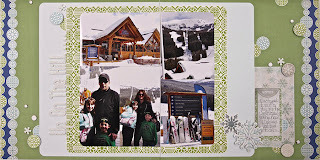 "PS: I was in Italy for one short horrible week: had to come home early because Mom was rushed to hospital: a blessing in disguise as my blood pressure could NOT handle the truly ghastly heat. 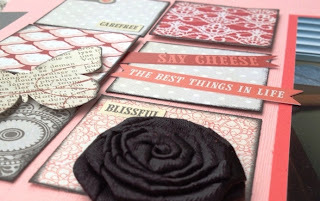 BUT…..I took some great pictures and have been comforting myself since my return doing a few layouts with your “July” kit. My mom was better almost as soon as I got back: a truly providential “emergency” as my blood pressure is now back to normal. Thanks for being part of my life!" 2 comments: Link it! . Summer Kit Club Promo -- Join the fun and save! It's time for a new Kit Club Membership Promotion! Our last subscription promotion was so popular, we're doing it again...and this time the deal is even hotter. 4 months for just $120* (that's a mere $30/kit) and a different freebie or deal each month, August through November. Click the link for all the info. You won't be disappointed!! *plus applicable shipping and GST/HST.